Colours in 80s have been really interesting. It can be soft and it can also be shocking neon colours which if they are combined, it can be a great colour playing. 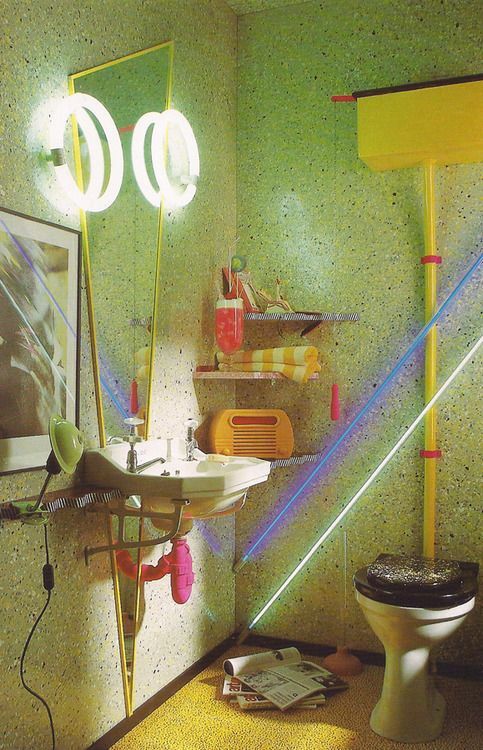 And the 80s style has been brought back to bathroom in a really pretty and fun way. 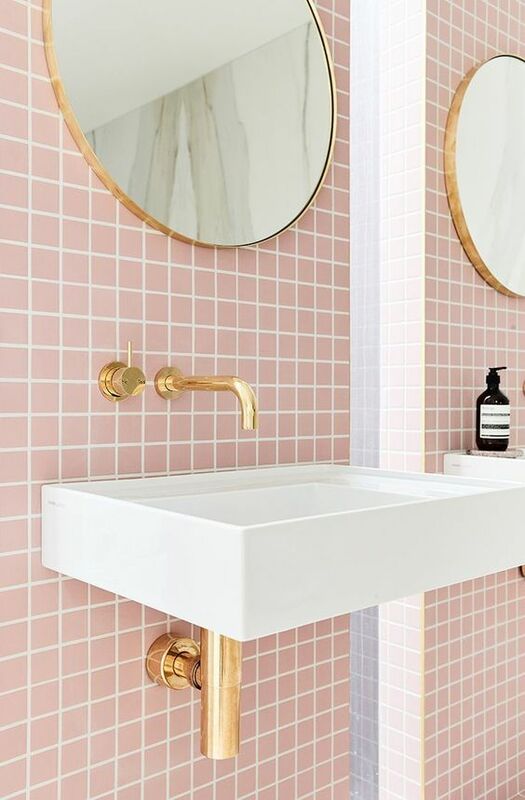 The era of pink colour seems to last quite long and it brings out nevertheless in the bathroom. 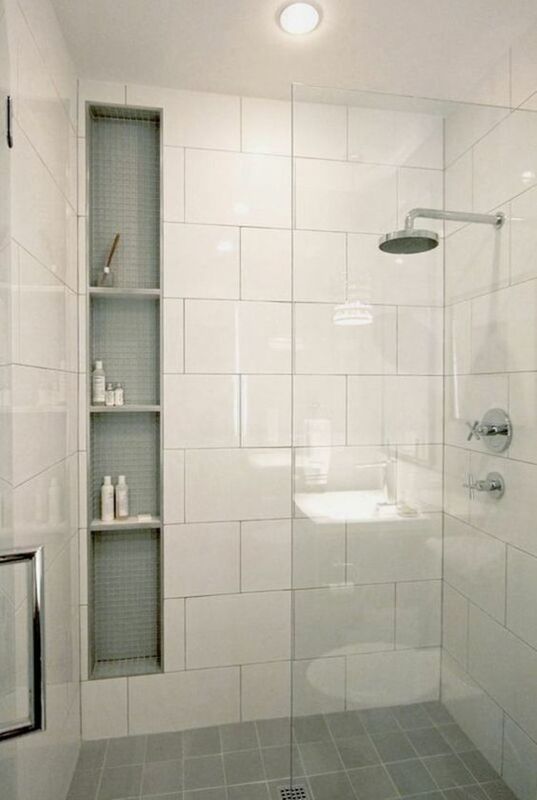 Pink square tiles are so 80s style that this one here comes in an open door. 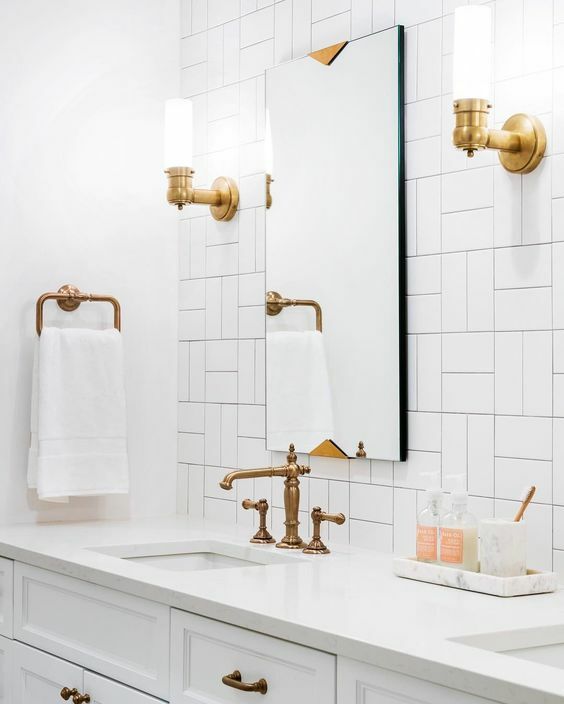 You can see that it’s so pretty the golden details makes the room pops in a good way. 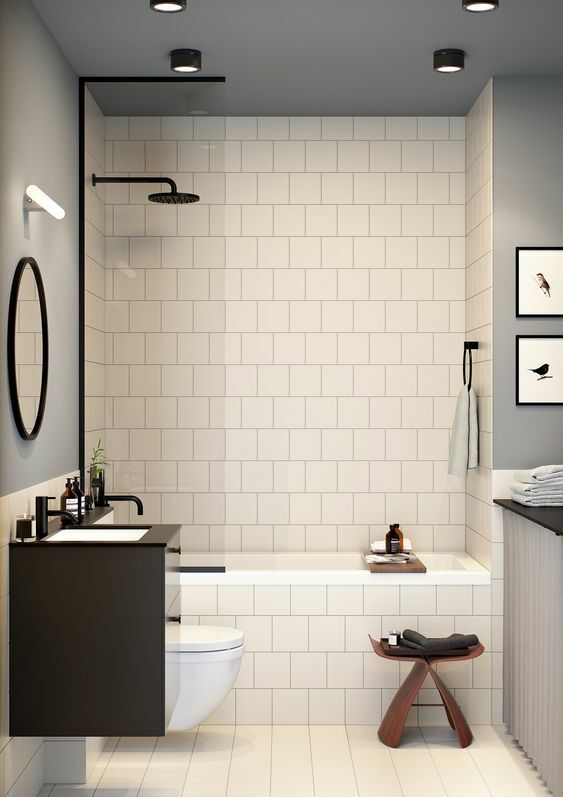 Still in the square tiles side, this one presents itself with the classic white in the floor and some part of the walls in the tub area. 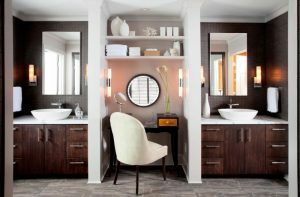 With grey walls, the look is not too pop but it still has the classic feeling to it. This one is similar with the previous one with its white square tiles. 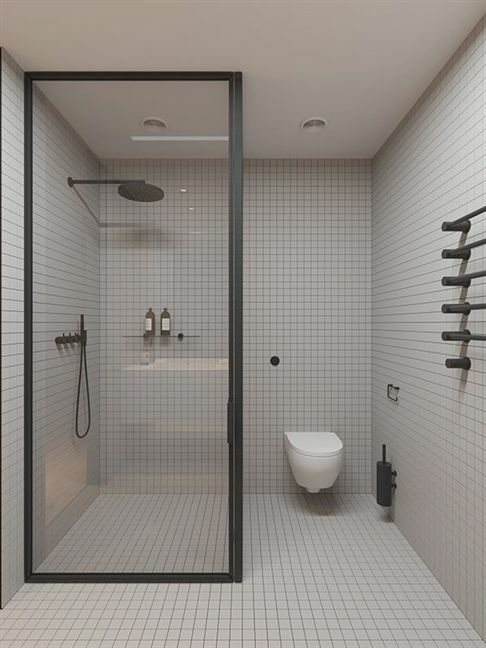 However, the difference is that in this one, the square tiles are covered the bathroom in the entire wall plus the floor it looks like the bathroom have quite wide canvas with a little details on toilet and black metals. Just like mentioned before that 80s vibe has the colourful pop colours to it. 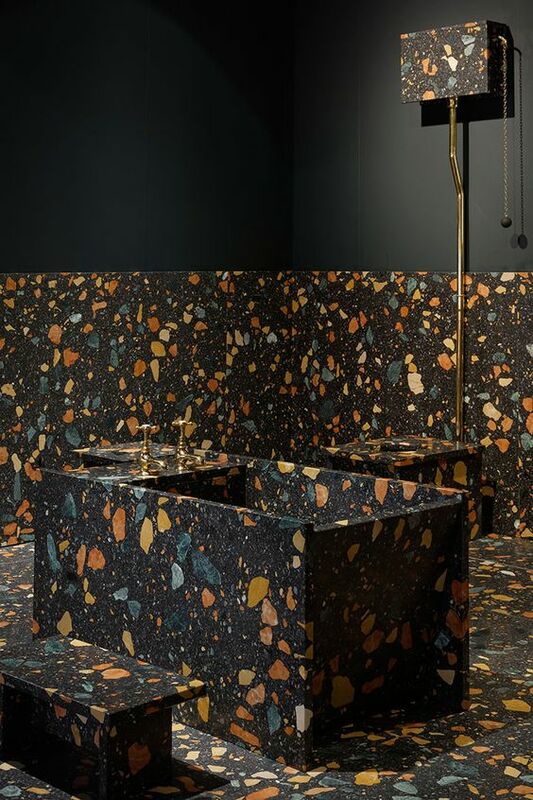 With colourful terrazzo, your bathroom will look cheerful and burst in a really fun way. 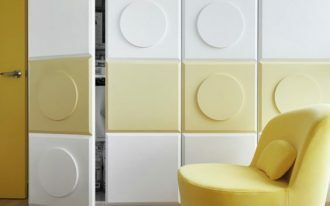 You can also try to matching shelves and sink so that you have a really wide canvas of colourful dots. Still playing with terrazzo, you besides popping your colours in white background you can definitely also try the dark background. 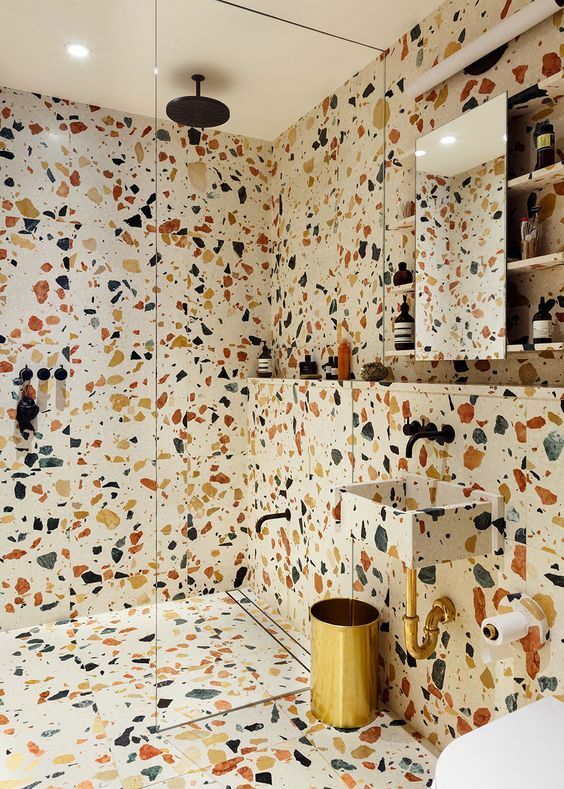 If you want to take your game a notch, you can camouflage everything in the bathroom in the matching terrazzo pattern. 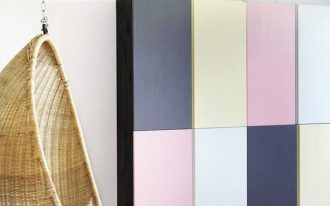 This one has a similar idea with the retro pink squares where it has the blushing pink colour to own the place. 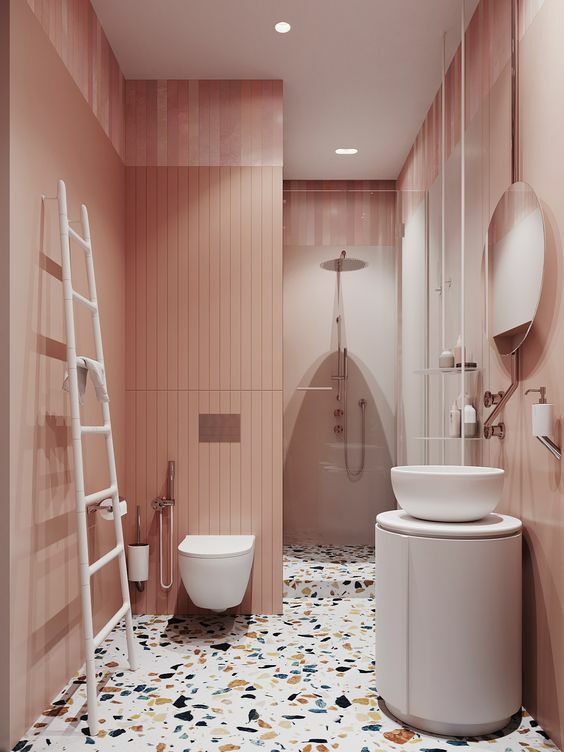 It’s not only the pink that blushes the bathroom but it is also the colourful terrazzo that promises the room to look beautiful and retro at the same time. Back to the square tiles games, this one owns bigger square tiles which pronounce the square games more pronounced. 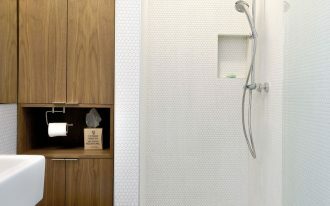 And using a different colour, the floor is also using square tiles to bring out the best retro feeling of it. 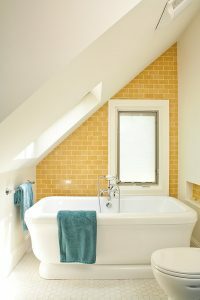 More on the squarely tiles, this one looks different but it’s not too different as it also has square tiles with pattern and placed differently. 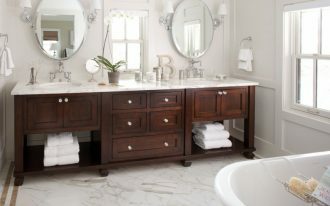 The simple cabinet and golden faucet gives the old character on it as well as the simply square mirror. When people say something about 80s pattern, this kind of pattern might be the one that pops in your mind. This retro, unique, and colourful explains 80s the best. 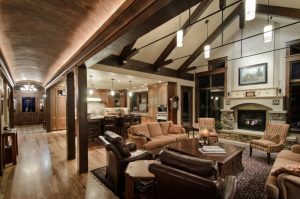 To acquire it, you only need to find the best wallpaper and put it on the dry area. 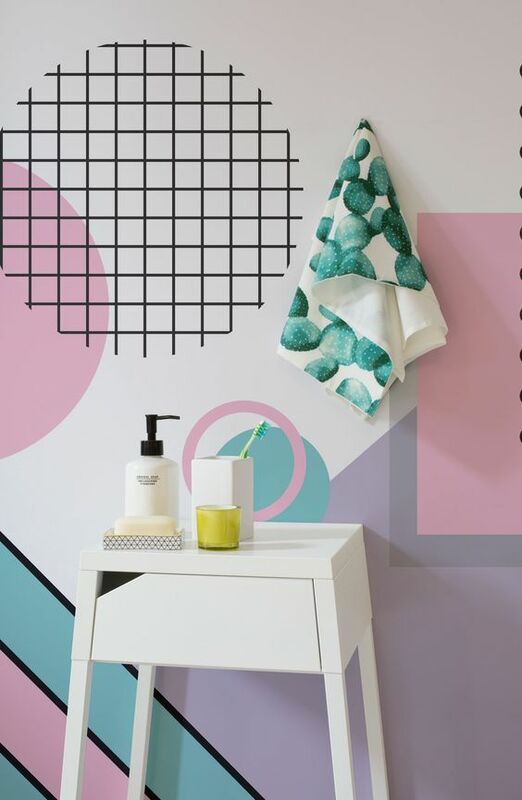 Besides retro patterns, shocking colours are also one of the characteristics of 80s style. 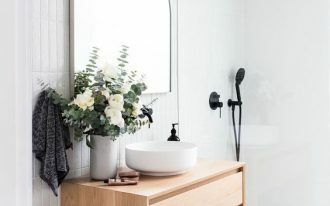 If you’re fearless and want to explain your bold character, you can paint your bathroom in pop colours and brings the details in your bathroom in shocking colours. It’s look cheerful and merry.